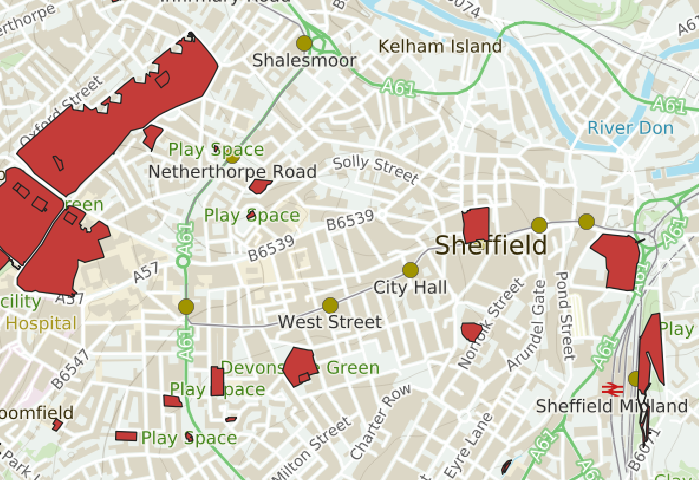 In this guide we will publish a simple map of green spaces in and around Sheffield. 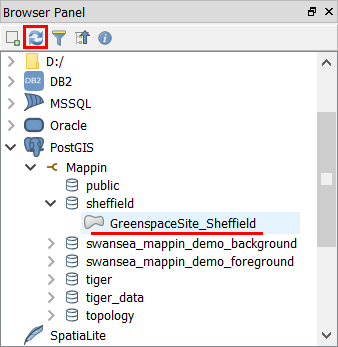 First-off, let’s load the data we wish to publish in QGIS (GreenspaceSite_Sheffield.shp). This is subset of the OS Open Greenspace dataset. As you can see from the screenshot above, it’s a polygon dataset of green spaces, with columns of interest such as function and distName1. So far we’ve loaded foreground data in QGIS, let’s now add some background maps. We’ll now add background maps using the WMTS connection we configured in the previous guide. Now adjust your layer ordering in QGIS so the background maps are at the bottom of the layer stack. Please note: Your background mapping may look grainy / pixelated or poor quality. The background mapping has been configured to perform well and look good at specific predefined map scales. Although the background images may not look good in QGIS, they will look great on Mappin after your project is uploaded so don’t worry. We need to now upload this Shapefile to Mappin so it has access to it for publishing. 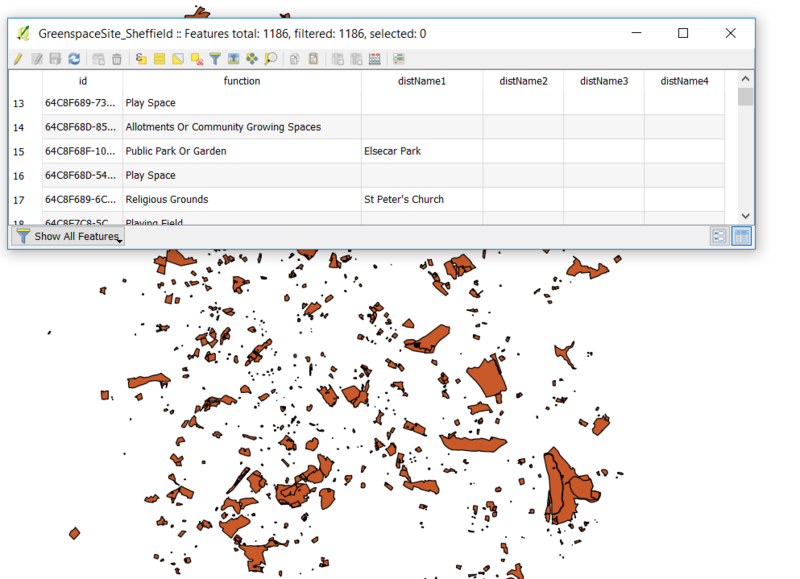 So far we have created a new schema called sheffield and we’re about to import our green spaces layer into it. After a few moments (be patient) the layer should be loaded in Mappin’s PostGIS database. At this point, all layers in our project are known to Mappin. We can now tweak the QGIS project and then upload it to Mappin for publishing our first map! 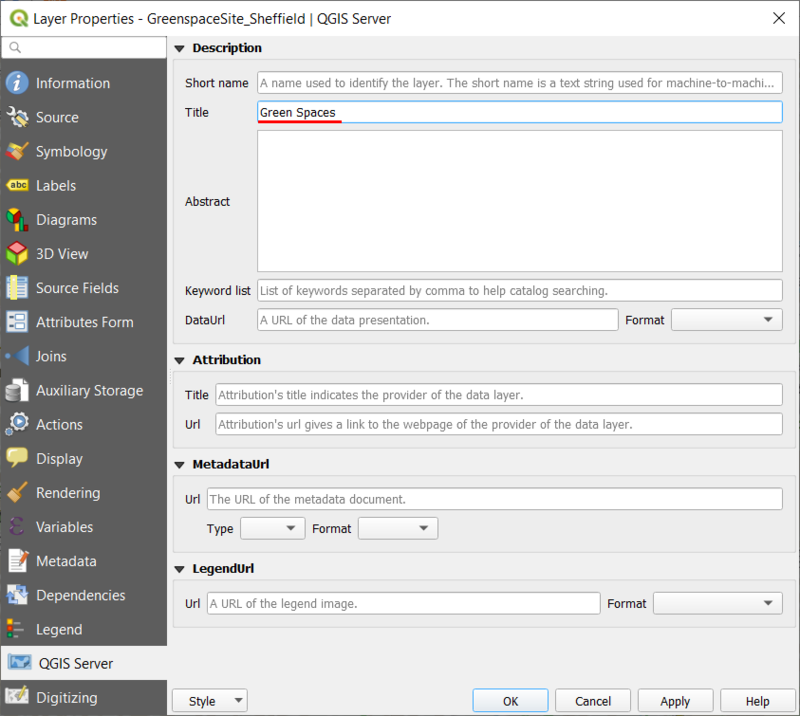 Mappin is able to extract many of QGIS’ project settings so we can configure things like layer aliases (names), layer order and default map extent within QGIS. We can even use it to style layers - more on that layer. 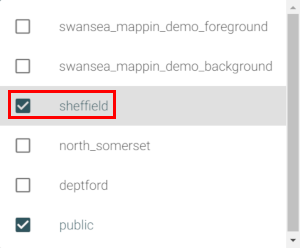 These settings will soon be loaded in Mappin for our default published map extent. Now Save the QGIS project. 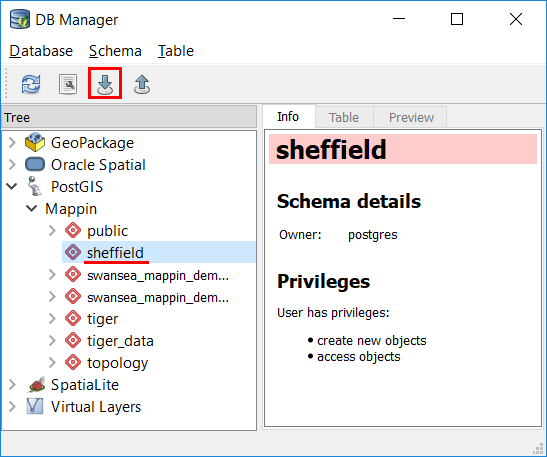 Your Mappin instance should already have an empty public project called sheffield - we will now upload our QGIS project file to this Mappin project. 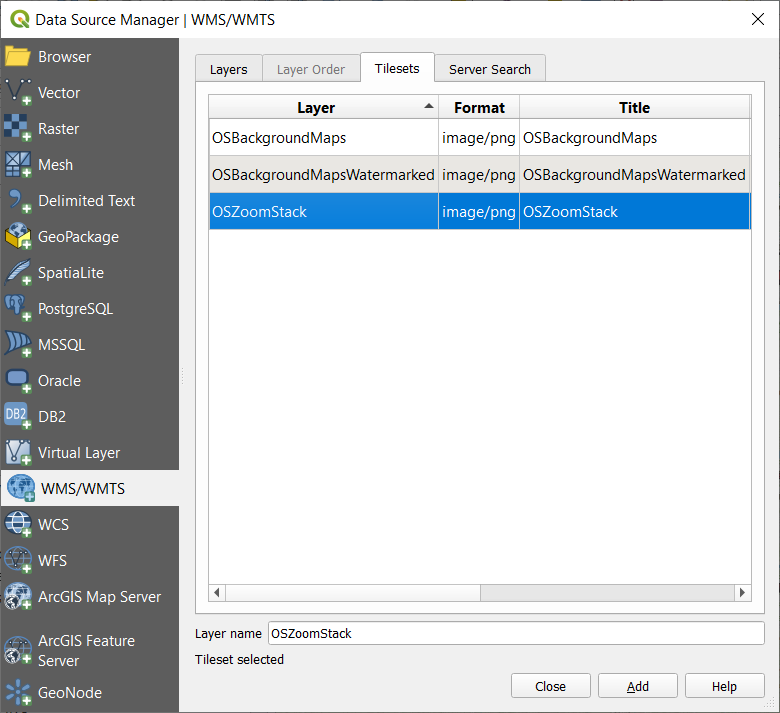 Now we’ve uploaded our QGIS project file to Mappin we need to make a few configuration changes (for example to tell Mappin which project layers to display) and we should have a working map. 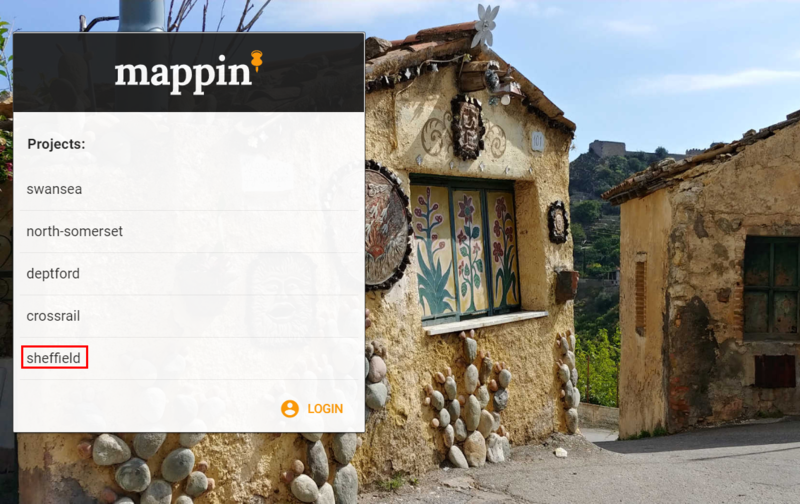 Nativate to https://YOU-admin.cloudmappin.com where YOU is your Mappin account name. Here you’ll see a list of your projects. Project settings for this specific project are then shown. Click the cog icon in the top-right of the screen. 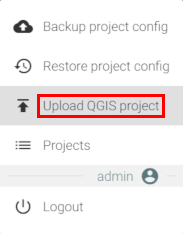 Select Upload QGIS project and upload the QGIS project we saved in the last section. 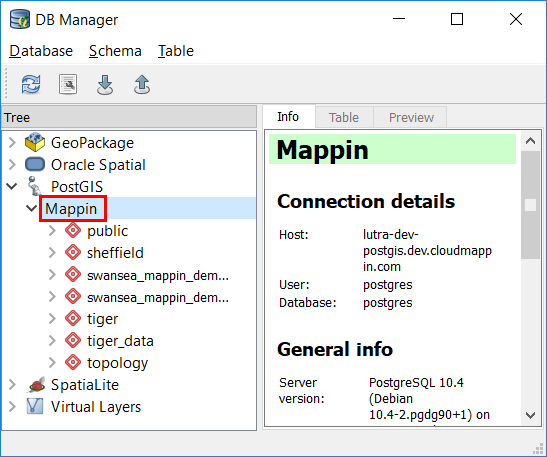 Now we’ve uploaded our QGIS project file to Mappin we just need to make a few configuration changes (for example to tell Mappin which project layers to display) and we should have a working map. The first thing we’ll do is tell Mappin which PostGIS schemas to find our data in. 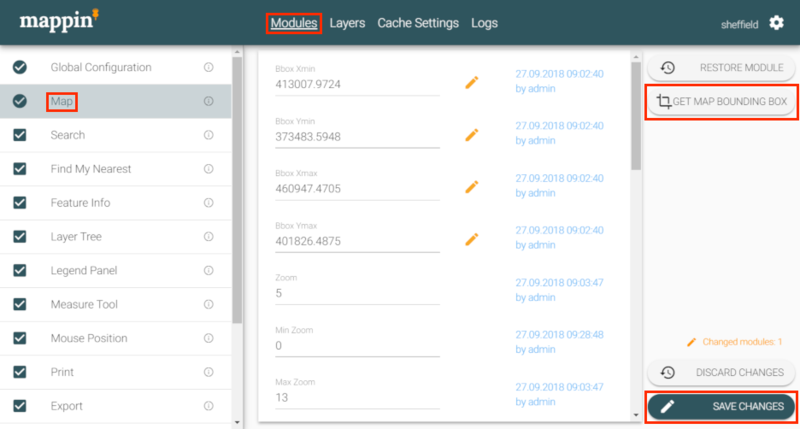 Locate the PostGIS Schemas setting in the Gloabl Configuration section. 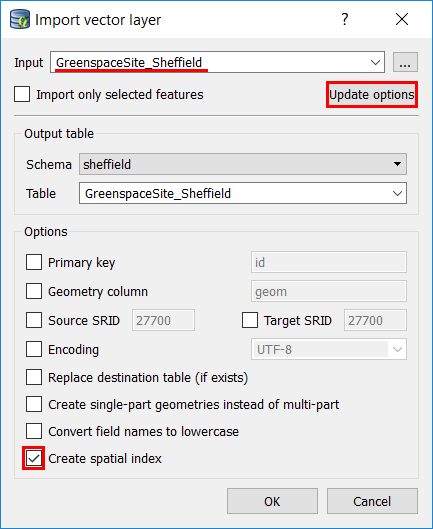 Add the sheffield schema (where are green spaces are located). Next we’ll tell Mappin which layers from the uploaded QGIS project it should publish. Select Layers then click the LOAD LAYERS button. Here we see a list of all the layers in the QGIS project we uploaded. At this stage our configuration changes are still pending (unsaved) which means we can revert them if desired. Now Mappin knows which layers to publish we just need to configure the published extent. This will update the four bounding box parameters as shown on the image above. 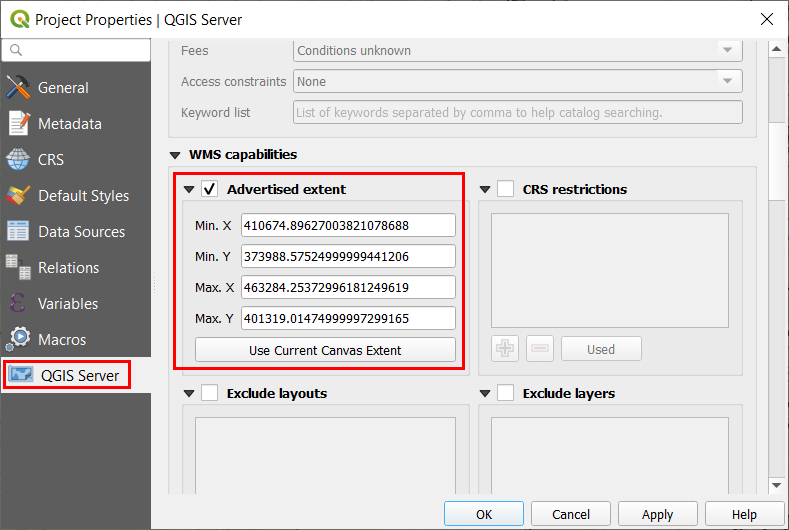 The values are the ones we set earlier (Advertised extent) in the QGIS project file. These bounding box values define an area which Mappin will restrict the project to - the user will not be able to pan outside of this area. The values are also used (the centroid of th ebounding box) to define where Mappin will initially centre the map. Your first map is now published! Now our first map should be published so let’s go and take a look at it. Here you’ll see a list of all your public projects (including the Mappin demo project). And here’s our first map! The colour scheme needs some work but we’ll do that in the next section. The URL contains information on the layers being displayed, any background maps loaded, the map centre and the zoom level. This allows you to copy the URL and share it - viewers will then see the same layers in the same location and zoom leve.